For five days in July, businesses and organizations throughout Clermont County will be rolling out the red carpet as the county hosts the 2015 USRowing Club National Championships, at Harsha Lake in East Fork State Park. Coming on the heels of Major League Baseball’s first All Star Game in Cincinnati in 27 years, hotel rooms in Clermont County and much of the region have been booked a year in advance for the July 15-19 regatta 25 miles east of Cincinnati, organizers say. Dozens of volunteers – everyone from Boy Scouts to Rotary Club members to local politicians – are offering their services for an event that’s expected to showcase Clermont County’s newly revamped recreational facilities in East Fork State Park and leave the region nearly $2 million richer. “I know the hotels are completely sold out in Clermont County,” said County Commissioner David Uible, who was part of a rowing team at Purdue University and will be among the many volunteers at the upcoming rowing competition. He said his wife recently rented a guest house the couple owns on a New Richmond farm to a group of Boston visitors who otherwise would have had to seek lodging in Northern Kentucky for the event. To welcome the estimated 2,000 rowers and the thousands of fans, coaches and rowing officials following in their wake, the Clermont County Convention and Visitors Bureau is encouraging businesses along state Route 125 to put out welcoming signs,said Mark Calitri, executive director of the Clermont County Convention and Visitors Bureau. The bureau also is promoting branding and sponsorship opportunities, and it has organized volunteers and local vendors to handle everything from parking to food for the athletes. As athletes in an elite sport that tends to support its crews financially, rowers and their fans will be tipping Clermont County servers when they dine in local restaurants and paying taxes when they put gas in their vehicles or sleep in local motel rooms, Spriggs said. When Oak Ridge, Tennessee, hosted the USRowing Club National Championships last year, the event had a tremendous impact on the local economy, said Marc DeRose, executive director of the Oak Ridge Convention and Visitors Bureau and a former collegiate rowing coach. Hotel rooms filled up not only in Oak Ridge, but also the surrounding Anderson County and neighboring Knox County. In Oak Ridge, money generated by the rowing competition benefited everything from local police departments to parks and infrastructure. “I think this event is an amazing opportunity for Cincinnati and Northern Kentucky,” DeRose said. Attorney Paul Schmid, head coach of the Clermont Crew, which is co-sponsoring the upcoming rowing event, said Harsha Lake boasts 2,000 meters of uninterrupted water with no current and enough horizontal space to fit in seven lanes for the national competition. “Our lake is very deep, it’s well protected (by hills) and it’s famous for the fairness of its rowing conditions,” Schmid said. East Fork State Park also features starting blocks that were used in the 1984 Los Angeles Olympics, it has sufficient parking and spectator and beach access and it’s near an urban area with enough motels to host the thousands of visitors that a national rowing competition brings. Hosting the USRowing Club National Championships was far from a sure thing for Clermont County. Built in 1978, East Fork Lake State Park’s beach house was outdated and in disrepair. The park also needed new docks where individuals could launch hand powered crafts, such as canoes and kayaks, as well as other improvements. To help land the USRowing Club National Championships, a lobbyist was hired and the Clermont County Convention and Visitors Bureau enlisted the help of local and state politicians to successfully lobby Gov. John Kasich for nearly $1 million to fix up East Fork State Park and make it a viable contender to host the USRowing Club National Championships, said Schmid, a member of that bureau. A new beach house, complete with showers, restrooms and a concession area, opened in early June. The park also has new docks built specifically for rowers, thanks to state watercraft funds. Trees were trimmed to improve visibility for spectators, and the convention and visitors bureau recently invested in high speed Internet for East Fork State Park so that USRowing could simulcast its races on the Web. The July 15-19 competition is one of five rowing events taking place at East Fork State Park this year. “The ripple effect of these events is tremendous for the Clermont County market when you consider what they do for restaurants, lodging and other services,” said Matt Van Sant, president/CEO of the Clermont County Chamber of Commerce. 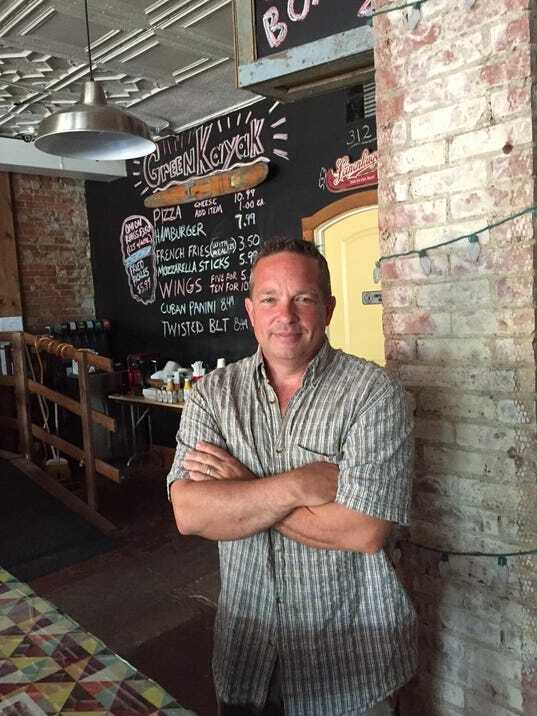 As co-owner of the Green Kayak Market, a restaurant and recreational facility in New Richmond, and board chair of the Clermont Convention and Visitors Bureau, Jim Comodeca said events such as the upcoming rowing competition benefit businesses and attractions throughout the county, as well as attract future hotels and other tourism-related development. Previous story Clermont County CVB delivers big results!